A couple weeks back I put out there the most basic and elegant piece a bride can wear has to be a slip dress. Slip dresses can be drop dead gorg, especially when paired up with the right accessories. The SHELIA slip dress and cape was inspired by Carolyn Besette who wore the classic of all classics when she and JFK, Jr. tied the knot 20 years back. 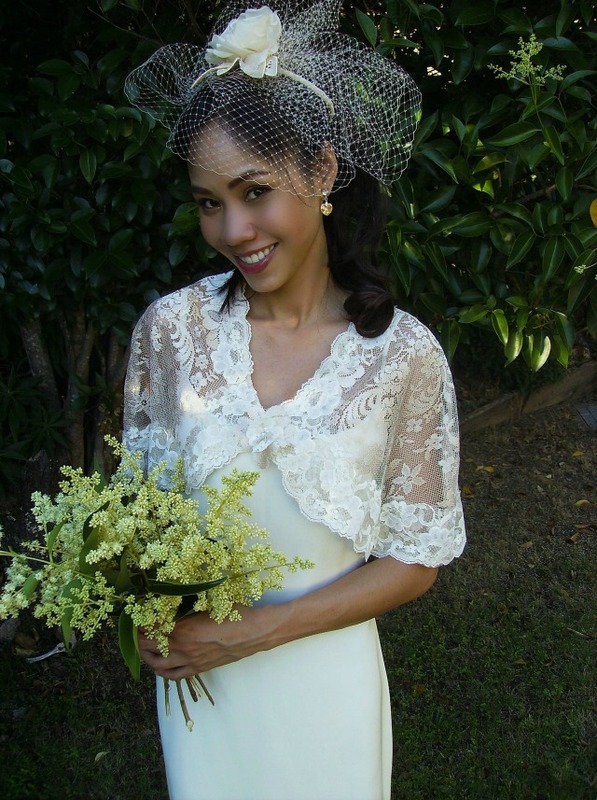 Evoking 1930s Hollywood glam, add the Peau d'ange and Chantilly lace cape to bring on that look of antiquity. 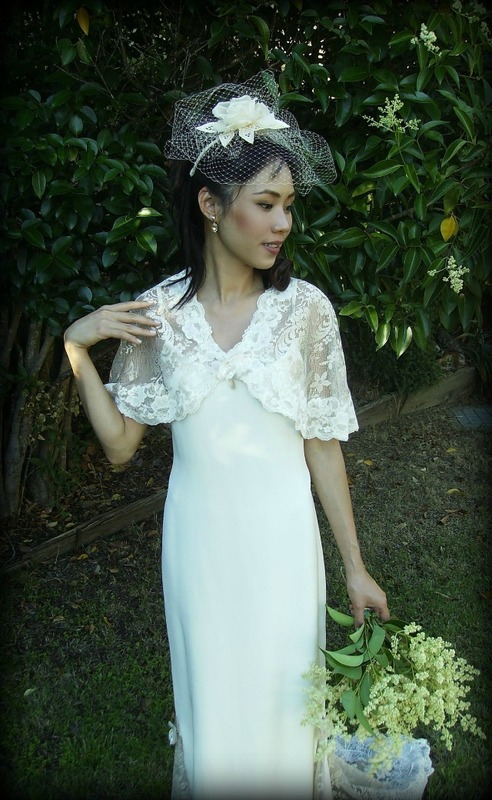 Check out the lace godet insets in the side seams and back creating a triangular train. The laces in the skirt match those in the capelet. Nice blog.Amazing collection of wedding gown.thanks to sharing. I think most of of the people like your post.